Real Time is a historical oddity from the wilderness years. 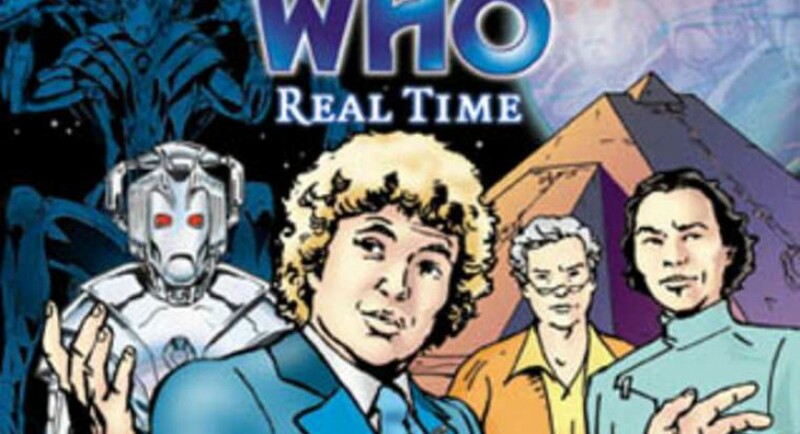 It’s the soundtrack of a 1-hour, 6-part flash animation featuring the Sixth Doctor and Evelyn Smythe. The webcast is still archived on the BBC, but the only part that’s still functioning is the art galleries. I picked up the audio as a free CD along with a Main Range subscription. The CD is supposed to have a scene or two that weren’t in the original. I’m not sure if I’d recommend paying full price for it, unless you’re a big Evelyn & Sixie fan— but then, who isn’t? Gary Russell wrote the story in six ten-minute segments with brief cliffhangers, originally broadcast over the course of several weeks, but designed to work just as well as a continuous audio CD. The CD includes a few extra scenes not included in the webcast. What’s it about? Six receives a call on his Space Time Telegraph (which the Brig was known to use on at least one occasion; not sure why these jokers have his number). Three alarming words— no, not those three words— bring him running. Humans have lost a couple of expeditions on a mysterious dead planet, so of course they want to chuck another expedition at it. Don’t they know they’re in a Doctor Who story? 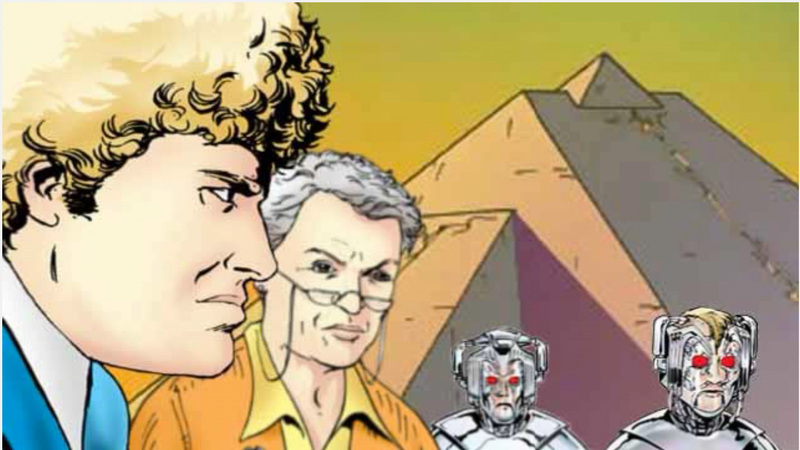 The Doctor and Evelyn must coddle these idiots while trying to discover and thwart the hidden threat, which you can identify from the cover art of the CD. (There’s something unusual about these Cybermen. Several somethings, in fact.) Most of the story consists of Our Heroes trying to survive rather than go on the offensive, but Colin and Maggie are so good together that they’re fun no matter how little or how much their characters are doing. There’s some exciting twists and turns with the hapless humans resembling the expedition at the beginning of Earthshock, and Six holds forth in a few rousing speeches with noble sentiments. The human expedition includes one Dr. Goddard played by Yee Jee Tso in a role that almost justifies his wooden delivery. (Sorry, Yee. He’s such a gung-ho actor, but he’d never done any audio before this webcast. I’m afraid that his inexperience coupled with my dislike of North American accents surrounded by Brits made me wince every time he opened his mouth. To be fair, he punches up his performance and is quite good during the emotional climax). The other characters are fairly stereotypical, as I suppose they have to be in such an abbreviated story with no time for development: a stuffed-shirt clueless administrator, Those Two Guys, and the too-tough-for-her-own-good female commander. 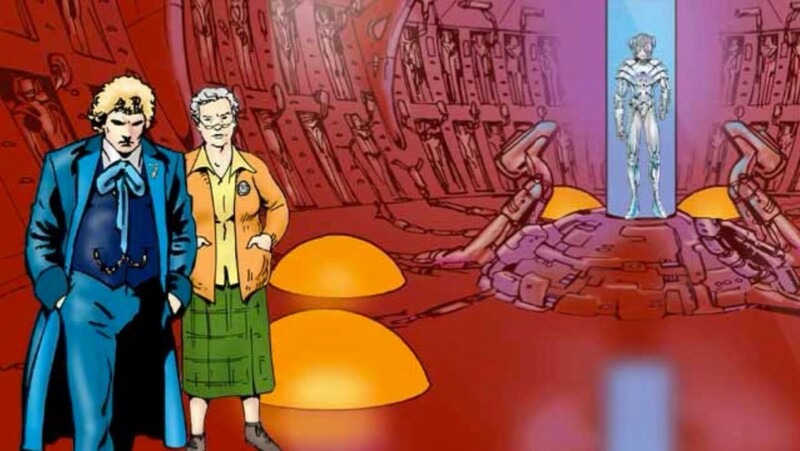 So, essentially, Real Time an unresolved but decent Cyberman story that’s precious chiefly because it features the beloved Maggie Stables. Extras include brief interviews with Colin, Maggie, and other cast members, but they’re not very interesting interviews. Trivia note: Sixie’s got a subdued version of his blue “mourning” coat for this story, so he’s not quite so much of an eyesore. 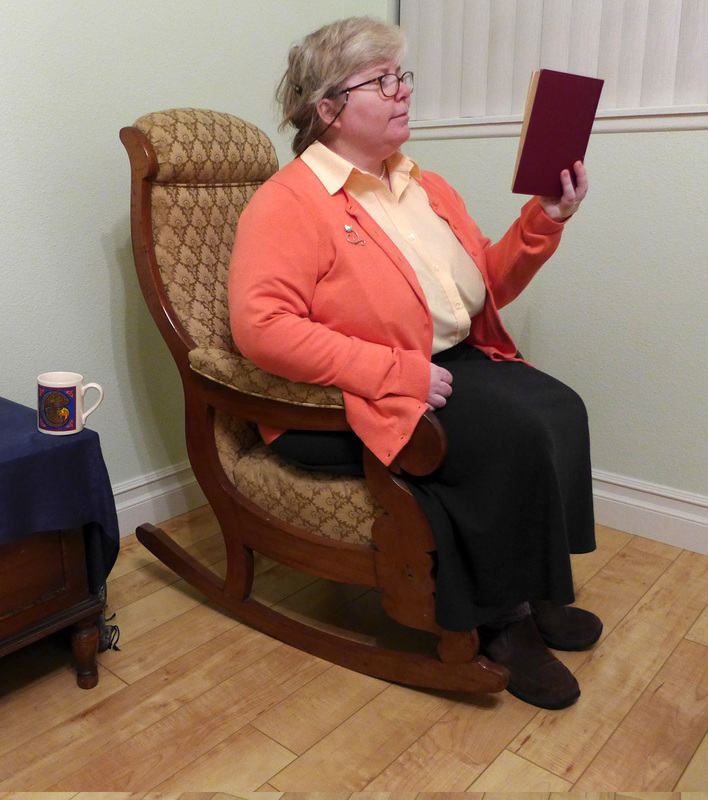 This outfit has appeared on subsequent cover art for Big Finish, alluded to from time to time in his audios. Also, these are the illustrations I used for my Evelyn cosplay, except that I swapped her flower pin for a vintage silver cat brooch. Holy hells. How about that cliffhanger? I so, so, so wish we could hear that story. But without Maggie in the critical role, I’m not sure it would be quite as powerful, so perhaps it’s just as well. I like the subtle clues about Goddard. On my second listen, I couldn’t help noticing his enthusiastic “Exxcellent,” a stock Cyber-saying before new Who introduced the punchless “Delete.” Also “you will become like us” years before Spare Parts reminded us why that phrase is so frightening. In fact, considering the timing, this story was a loose prototype sewing some of the seeds for Spare Parts. My hunch is that the mysterious funeral at the beginning was going to turn out to be Goddard’s, due to some sort of timey-wimey. The Behind-the-Scenes Notes for this audio state, “This story takes place between the television adventures, The Trial of a Time Lord and Time and the Rani.” That helps verify Evelyn’s continuity in Sixie’s timeline.